Low Fat Diet or Low Calorie Diet: Which is Better? 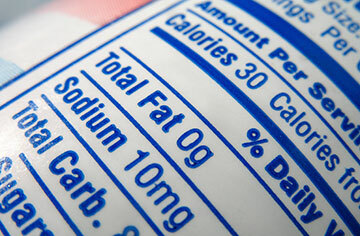 Current: Low Fat Diet or Low Calorie Diet: Which is Better? When you're trying to select a diet, one of the many choices you'll have to make is whether to go for a low fat diet or a low calorie one, or whether you should lump them together. The answer really depends largely on what your lifestyle looks like and what you're trying to accomplish. Examine your eating habits. Are you overweight because you literally eat too much, or are you overweight because you eat too much of the wrong stuff? If you consume more than 2500 calories (for a man; 2000 for a woman), then you probably need to cut back your calories. But if you consume less than that, and you're still gaining weight, then you should look at the kinds of foods you consume. A single slice of pizza, for example, will put on more pounds than an entire package of steamed broccoli. 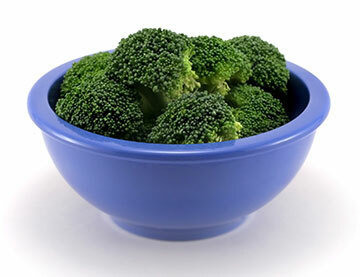 And there's overlap; pizza has both more fat and more calories than the broccoli. But in general, if you have a problem with eating too much, a low calorie diet is the way to go. If you have a problem with eating the wrong things, then look at a low fat diet. Many people combine the two. This is an excellent way to do it if you're fifty or sixty pounds overweight, or more. In that case, the problem is probably that you eat too much of the wrong things, and you need to target both areas. But you don't want to watch both your calories and your fat intake for the rest of your life. The rest of your life? That's right. Dieting works best when it's not a diet but a lifestyle change. Cutting most—not all, but most—fatty foods out of your diet is the easiest way to change your lifestyle. Of course adding exercise is important, as well. But if you try to cut both fat and calories, then you're setting yourself up for failure; if you're existing on 1200 calories a day, with no ice cream or pizza, then you're bound to think of it as a diet, and diets are things we quit, or let fall by the wayside. So watch both, calories and fat, until you're about twenty or thirty pounds away from your ideal healthy weight. (Be sure that your ideal weight really is your healthy weight.) Then, switch over to keeping most of the excess fat out of your diet. Focus on fruits and vegetables, especially if you can eat them fresh or lightly steamed. Treat yourself to a bowl of ice cream or your favorite fatty snack every couple of days. This keeps your body from feeling deprived, but at the same time helps you continue to lose weight, and keep it off once you've lost it.